Amid work, family, and busy lives, finding time for oral health care can be a challenge. In Honolulu, HI, residents need a dentist who is caring and professional, as well as convenient. 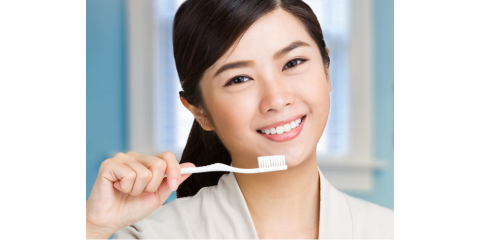 Kaimuki Dental Group is a dental practice with multiple doctors, multiple hygienists, and convenient hours, and the staff is committed to providing patients with the dental care they need. From cosmetic dentistry treatments like teeth whitening to restorative dentistry services, Kaimuki Dental Group gives the island of Oahu something to smile about. Kaimuki Dental Group was founded on the belief that the best dental service comes from a staff that truly cares about the well-being of their patients. From the moment you walk through their doors, you’ll realize Kaimuki Dental Group is unlike any other dentist office you’ve visited. Their business strategy emphasizes the importance of creating a comforting, compassionate environment where strong patient/dentist relationships can be built. They understand every patient’s needs are unique, and whether you come to them for dental crowns or a preventative dentistry treatment, they’ll do everything they can to help you achieve the bright, healthy smile you’ve always wanted. Their goal is long-term oral health, and they offer several services to make that possible. Unlike other dentists, they focus on conservative dentistry — with an aim to preserve the tooth structure as much as possible — as well as preventative dentistry to help patients keep their mouths clean and healthy. Their services include veneers, dental crowns, dental implants, teeth whitening, and general dentistry cleanings and check-ups. The staff at Kaimuki Dental Group includes six doctors who are all experienced and respected professionals within their field. Together, they’ve built a dental group with the advanced technology, caring staff, and convenient hours needed to best serve the residents of Honolulu. Take advantage of their flexible appointment scheduling by calling (808) 737-7905, and visit their website for a complete list of services.